This January is one of the coldest I can remember. Sure we’ve had windchills below zero, before,but the actual temperature here hit -5 this week! This type of weather makes me crave warm, comforting food. Personally I can’t think of anything more warming than soup or comforting than lasagna. Why not put them together into one delicious meal? Bam Lasagna Soup was born! 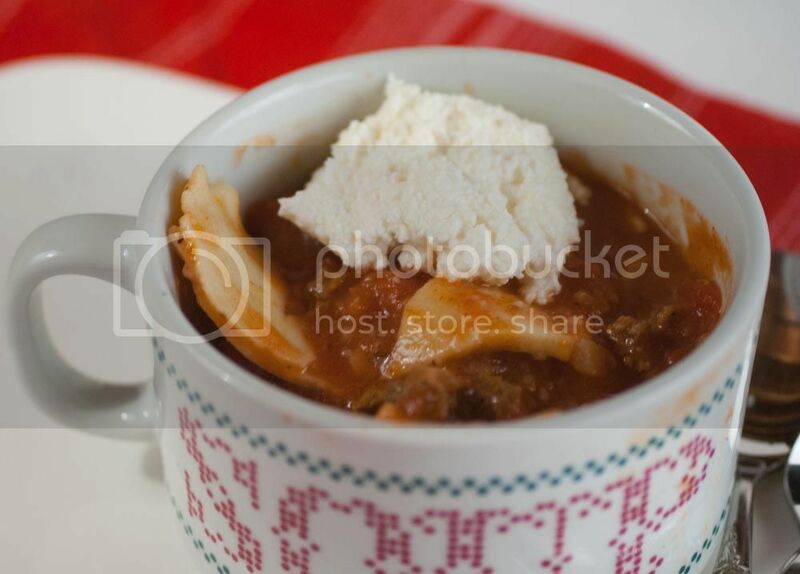 Lasagna Soup Recipe: With Ground beef, tomatoes,and ricotta cheese. Heat 1 tablespoon olive in in a large dutch oven over medium heat. When hot, crumble ground beef into pan. Season with salt and pepper. Cook until browned and no pink remains. Drain most of the fat from the beef. Leave a small portion of the fat and leftover meat bits in the pan. Add and heat 1 tablespoon olive oil. Saute onion until soft(around 5 minutes). Add garlic and saute for one more minute. Add chicken broth, diced tomatoes, crushed tomatoes, tomato paste, sugar, and Italian seasoning. Add cooked beef. Season with salt and pepper to taste. Bring to a boil. Simmer on medium heat for around 20 minutes. Cook lasagna noodles according to package directions. Reserve 1 cup of pasta water before draining. Add cooked pasta and 1 cup pasta water after the 20 minutes have passed. Mix ricotta, mozzarella, and Parmesan cheeses in a small bowl. Dollop on top of soup. Serve with a crusty bread like Ciabatta if desired. Use ground turkey instead of ground beef to trim the calories. Substitute Italian sausage for the ground meat. Use vegetarian protein crumbles and vegetable stock to make the dish vegetarian. 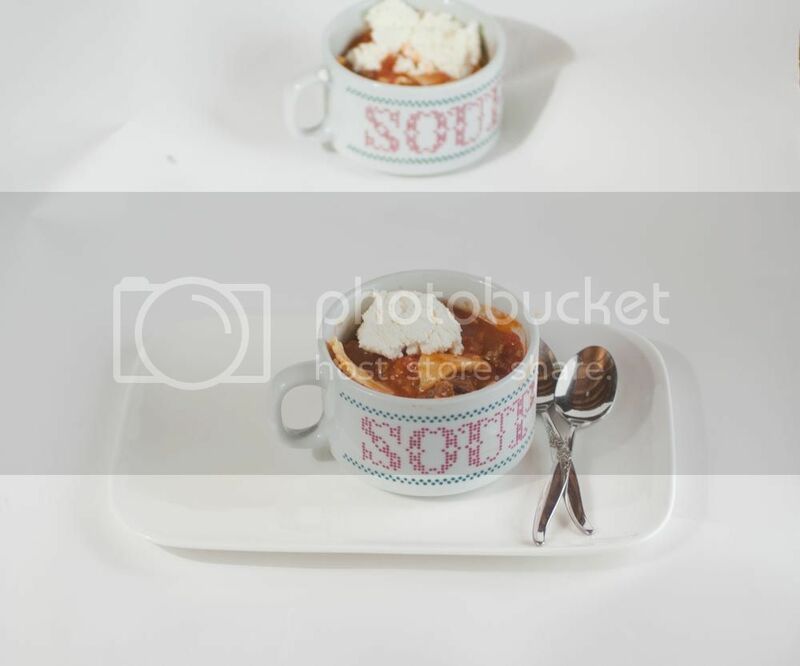 What do you think of this Lasagna Soup Recipe? What’s your favorite soup recipe? Brrr… -5?! Yikes. Lasagna soup form sounds so perfect for this weather! I know right! It’s not usually this cold here but soup helps. This sounds amazing! It’s not even cold where I live, but you have me craving a warm bowl of this in the worst way. Pinning for sure! It’s been so unseasonably cold here too – and we have been eating soup like mad! I love the idea of a lasagna soup – sounds so good!! Hmm, I never thought of making a lasagna soup before, sounds very interesting! Oh man, this looks REALLY good! Pinning to try soon, since it is freezing here, LOL. 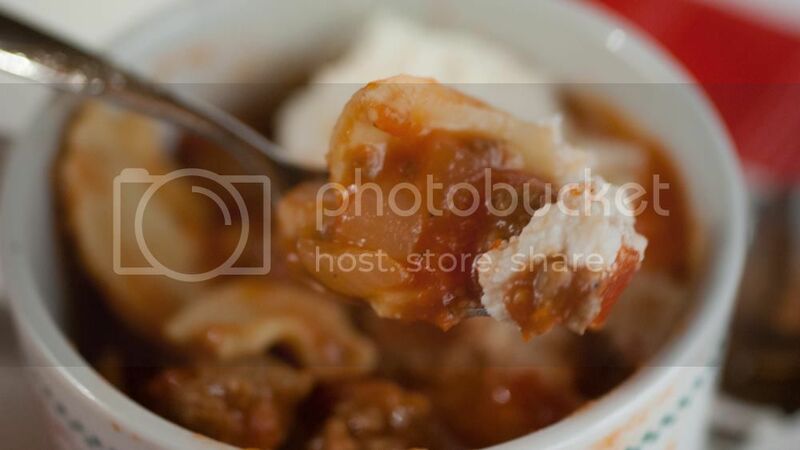 Krystle, the Lasagna Soup is a great idea…it seems to be a quicker way to deliver the flavor of the baked pasta dish without the fuss of preparing it. I’d load my soup spoon just as you did. Nice work! Lasagna soup is so crazy good! This recipe looks perfect Krystle! what a classic. Love the idea. combining such great flavors and making it into a warming soup for the winter. One day I am going to have to try this recipe. Yum! I love lasagna and soup. So, I ‘d love this! Thanks for the idea!! We would just love your Lasagna Soup, it looks awesome! Congrats! Your recipe is one of the features this week for Simple Supper Tuesday. 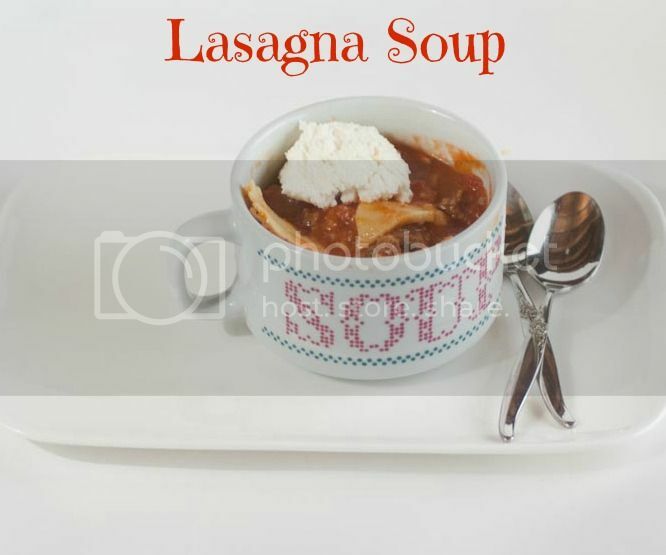 This looks delicious, a bowl of lasagna soup would really hit the spot on a cold day like today. My favorite soup is corn chowder. This looks delicious! I’d love to try your recipe! Perfect for these cold weather months! Oh, man. I would love to eat this right now.. but being sick.. I’ve no effort to make it 🙁 care to bring me some, pretty please? It has been very cold where I am at too! It was -4 yesterday, and today is only going to get to 14 degrees. Yikes. But, this soothing awesome lasagna soup recipe is to die for. I am going to make this because I love lasagna, but I have never had it as soup. How wonderful. Thanks for the recipe. That’s a different way to enjoy one of my favorite foods. I never thought to cook lasagna this way. I’ll have to try it. I know exactly what you mean about comfort food and cold weather though we haven’t been quite that cold yet. I love this twist on lasagna! My husband is going to flip when I make this for him! And I actually have all of the ingredients! Thanks for sharing! Jealous it is has been warmer in your neck of the woods. Hope you and your hubby enjoy the soup! Lasagne soup??? Are you kidding me??? Really???? Well, Ive NEVER!!! But I am so gonna try because it sounds as wonderful as a plate full of lasagne without the work!!! I know what soup Im making on Monday, and its NOT chicken noodle!!! Enjoy Ruthi! You’re right SO Much easier than actually making lasagne!